These are my beautiful Doves! I had such an incredible day today! I got my Dove tattoos (On Oct 25th/11, 4:00PM) !! I’m completely in love with them, more than anyone could imagine. When I woke up this morning, I couldn’t believe that it was my tattoo appointment day! School seemed to take forever to get through and once I got my tattoo, it seemed so quick! This tattoo, is much more than just body ink.. It truly means something to me. Peace on Earth. Honestly, I know many people will think my tattoo isn’t that wonderful, but I don’t care. This piece of art wasn’t meant to attract attention, it was meant to show everyone how dedicated I am to world peace. As cliche as that may sound. All the tattoos i’m going to get are all going to like to 2 very imporant topics to me; Peace, and Freedom. 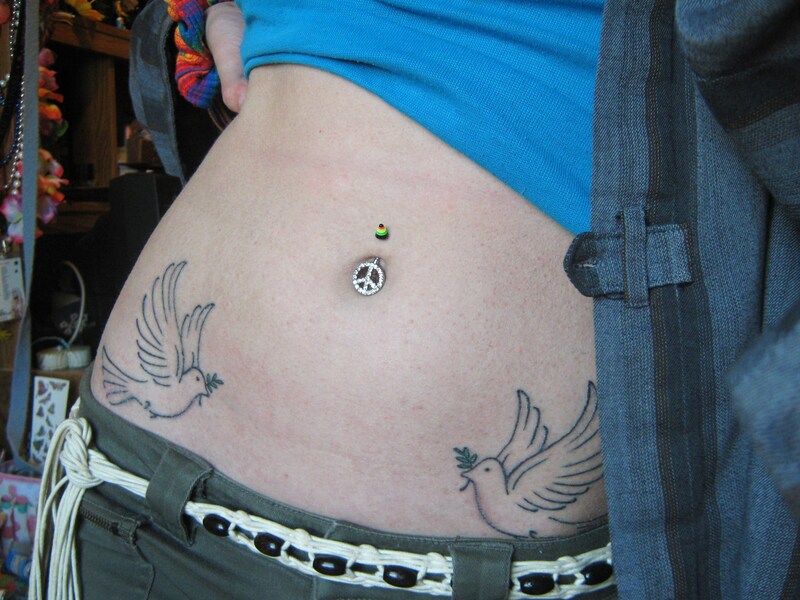 I love my simple, but elegant Dove tattoos. My other tattoo, by the way, are two butterflies on the back of my right shoulder. They represent freedom, and i’ve slways had this spiritual connection towards them. They’re so pure. As are doves. I love expression, so much. I love this life of mine. Thank you 😀 And I’ll show you guys a photo sometime. 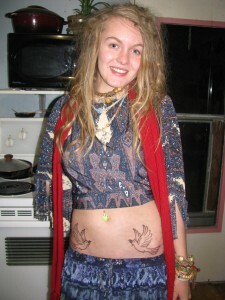 Those tattoos are very lovely and your dreads are awesome also. Starting my natural dread journey also been about a month since i started.